Three, 75-minute webinar sessions from 4:15pm–5:30pm Eastern Standard Time. This series is focused on the essentials of writing workshop. Participants will examine three components that will enable them to launch or reinvigorate the writing workshop: environment, tools, and routines; utilizing workshop structures; and lessons to launch the year. Throughout the three sessions, participants will be introduced to practical instructional ideas and tools that explore the foundations of workshop. We will practice creating an engaging, environment while examining the routines and protocols to get the workshop off and running! We will explore the structure of a workshop, and learn how minilessons, independent practice, conferring, writing collaborations, and reflection all work together to frame a workshop day. Lastly, Lisa and Patty will share lessons that can launch a year of writing workshop teaching, including lessons in habits, process, and craft. Particular attention will be given throughout the course to the importance of cultivating reluctant and developing writers. Whether a seasoned workshop teacher or new to workshop, this webinar will enable you to start your year in a way that will allow your writers to thrive! Session 1: Building Time and Space for Writing Workshop: Environment, tools, and routines. This first session is designed to help you kick your year of writing off right! You'll see how to foster student engagement, promote student independence, and encourage more student accountability by beginning with the essential elements of workshop. These essentials include creating an enticing environment, providing developmentally appropriate tools, and establishing independent routines. You'll learn how going slowly at the start allows you to move quickly throughout the rest of the year. Session 2: Workshop Structure: Mini-lesson, Independent Practice and Conferring, Writing Collaborations, Workshop Wrap-up. We believe that workshop is the best approach to teaching kids to write, but we also know it's tough. Addressing each child's individual needs while managing the needs of the group is hard work. This session will prepare you to tackle this challenge by utilizing foundational workshop structures. You will learn and practice clear, actionable steps that make it possible to effectively manage whole group, small group and individualized instruction. You will learn about effective teaching strategies including how to structure minilessons and how to use writing collaborations—both partnerships and writing clubs. These foundational principles allow you to teach all your students more productively and creatively. Session 3: Launching Workshop: Teaching lessons in process, habits, and craft using published and student mentor texts. In the final session of the series, we will examine the specific lessons upon which a year's worth of writing can stand. We believe that the teaching of writing is not just about lessons in genre, but lessons in process, craft and the habits that successful writers use, including habits for writing conventionally and consistently. We will explore the role of mentor texts—both published and student texts, and the ways in which having writing role models can powerfully influence writers. Whether you are looking for lessons, or have a year of lessons you need to implement, this session will equip you to tackle the first few weeks of the school year. 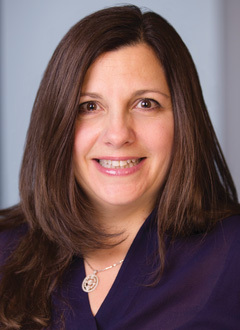 Patricia Vitale-Reilly (@pattyvreilly) has over 25 years of experience in education as a classroom teacher, an instructor at the graduate level, a literacy coach, and a former staff developer at the Teachers College Reading and Writing Project. Currently, Patty is an educational consultant working with schools nationwide. Patty is the author of multiple professional books for teachers including Engaging Every Learner: Classroom Principles, Strategies, and Tools and Supporting Struggling Learners: 50 Instructional Moves for the Classroom Teacher. Check out her site exploring important and essential ideas about teaching and learning at www.pattyvitale-reilly.com. 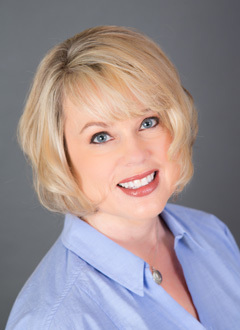 Lisa Eickholdt has 25 years of experience in the classroom as a primary grades teacher, a Title I teacher, a Reading Recovery teacher, an interventionist, and a literacy coach. Today, Lisa is an Assistant Professor of Literacy Education at Georgia Gwinnett College and works as a literacy consultant in classrooms nationwide. Her recent book, Learning from Classmates: Using Students' Writing as Mentor Texts, celebrates student writing and promotes student engagement. Lisa and Patty are also currently working on a new book with a focus on writing minilessons, which will be part of the popular Heinemann Classroom Essential series. Teachers grades K-8, school and district administrators, literacy coaches, principals, curriculum and instructional leaders. There is no book requirement; however, it is highly recommended that participants have a copy of Engaging Every Learner, Supporting Struggling Learners, and Learning from Classmates. If you do not own a copy you may purchase them from our website here: Engaging Every Learner, Supporting Struggling Learners, and Learning from Classmates.